What happens when a 2,500 lbs Fiat 500 gets hit by a 4,000 lbs Dodge Charger? Michael Passage, noted Fiat enthusiast and Fiat Specialist over at Van Nuys Fiat shares what happened when he went on a test drive that went bad! "took a couple on a test drive, she driving, him next to her and me in the back, making a left turn we got hit by a Dodge Charger doing at least 40 mph and hit us on the right side making the Pop spin 360 degrees ending up into a pole...Watch and believe." Follow up: Everyone was OK and the 6'1" husband was so impressed he signed the purchase papers for his wife immediately! In Europe, the Fiat 500 was the first A-segment vehicle to achieve a 5-star Euro NCAP (New Car Assessment Program) adult occupant protection rating. 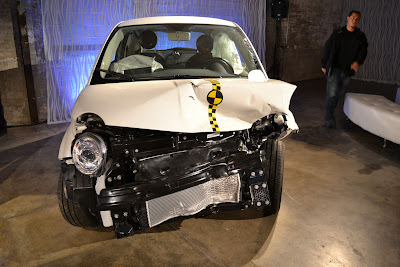 In the United States, the 2012 Fiat 500 was named a Top Safety Pick by the Insurance Institute for Highway Safety (IIHS). 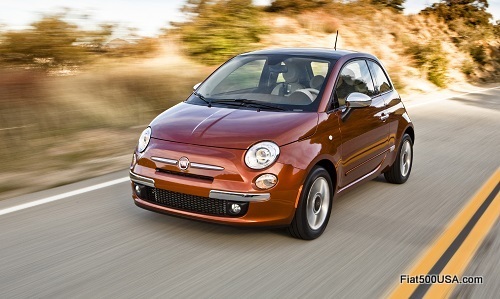 The Fiat 500 chassis features advance design and high strength steel reinforcements. The body is designed to absorb impact and the standard seven air bags, reactive headrests and more than 35 safety and security features contribute to making the Fiat 500 one of the safest small cars on the road. 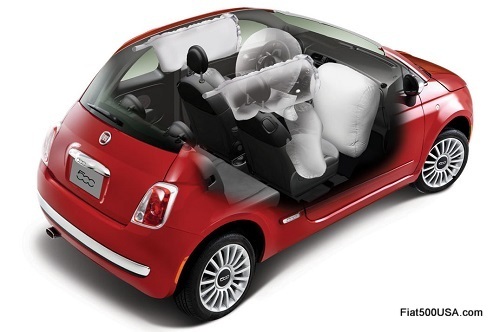 Seven standard air bags and reactive head restraintsThe Fiat 500 features an all-new air bag system to offer unique protection for its passengers to meet all U.S. regulatory requirements. Its seven standard air bags include: driver and front-passenger advanced multi-stage air bags, driver’s knee air bag, full-length side-curtain air bags and standard seat-mounted side pelvic-thorax air bags, all to offer enhanced occupant protection to all occupants in the event of a collision. 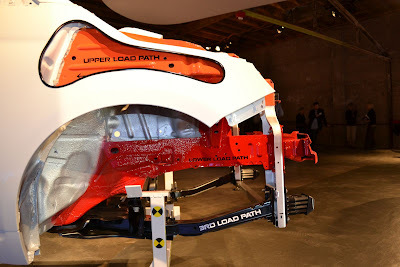 Reactive head restraints, which activate during a rear impact, are another innovation helping minimize injuries by reducing the gap between the head restraint and the passenger’s head. Innovative TomTom® Navigation with BLUE&ME™ Handsfree Communication technologyDeveloped as a collaboration between Fiat and Microsoft, BLUE&ME™ Handsfree Communication technology is an in-vehicle, voice-activated communication system that allows the driver to operate a Bluetooth®-compatible phone while keeping his or her hands on the wheel and eyes on the road. Using a series of voice commands, the driver can place phone calls, access the phone’s address book or listen to MP3s. BLUE&ME Handsfree Communication technology supports most mobile phones with Bluetooth technology. With the available TomTom® Navigation with BLUE&ME Handsfree Communication technology, the system integrates an innovative 4.3-inch TomTom hand-held navigation unit that docks on top of the Fiat 500’s instrument panel. With its large touchscreen display, simple map displays with available real-time traffic, weather and more than 7 million points of interests, TomTom navigation with BLUE&ME Handsfree Communication technology is intuitive for the driver to use. And with its direct integration into the Fiat 500’s interior system, the driver is able to use steering-wheel-mounted controls to make operation even easier. Thanks to its portable design, the TomTom Navigation system allows passengers of the Fiat 500 to remove the hand-held device from the vehicle and use it as a guide for walking tours or finding their way back to the vehicle. The new Fiat 500 features standard electronic stability control (ESC) for improved braking performance in wet or panic conditions. Behind the scenes, the ESC system is ready to intervene by integrating key chassis control systems including electronic brake-force distribution (EBD), anti-lock brake system (ABS) and traction control systems (TCS) to control all four wheels in response to yaw and steering input. In effect, ESC determines the driver’s intentions and adjusts the vehicle’s dynamic forces to maintain the driver’s intended course. Should the driver exceed the performance limits of the road surface – such that the vehicle starts to oversteer or understeer – ESC instantly analyzes input from the wheel sensors and corrects the pending loss of control by applying any one, several or all of the system’s brakes. Discuss this story on the Fiat 500 USA Forum!